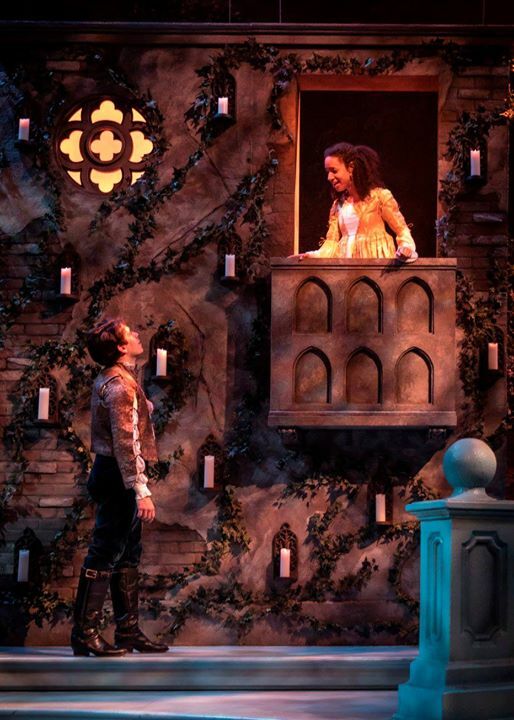 Through March 25, there's a classic (and abridged) version of Romeo and Juliet appearing onstage at the Chicago Shakespeare Theatre on Navy Pier, and its full of love, intrigue, feuds, forgotten letters, sword fights, and a real life bird. Wildlife? Or perhaps a very clever animatronic? It didn't really matter, because the important part of our delightful afternoon was what was on the stage, not flying over it. 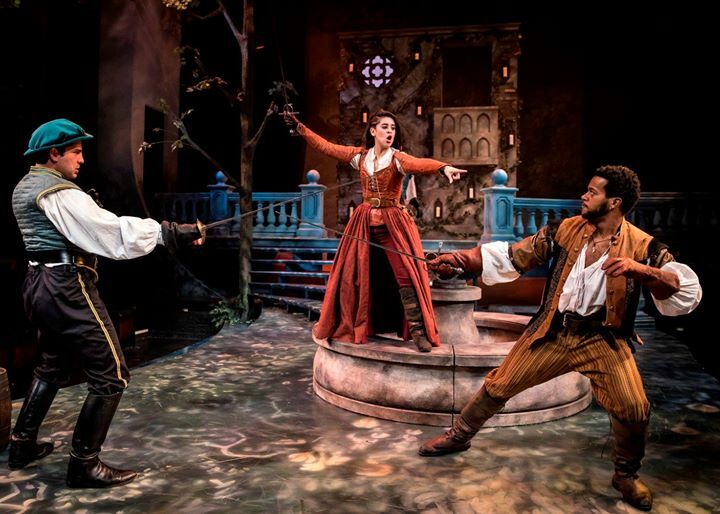 Benvolio (Andrea San Miguel, center) intervening. "Do you bite your thumb at me, sir?" The show starts with a prologue, but not the prologue that Shakespeare wrote. Rather it is an appeal from one of the actors to listen to the words of Shakespeare, and if you can't understand the words, listen to the tone. 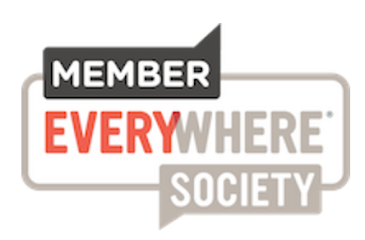 You will figure out what is going on by what we are doing and how we sound, even if you can't get all the words. It was a very nice opening for a young audience. About 10 years ago, I toured in a school production of Much Ado About Nothing, also severely cut down (You can read my journal about that process in this open topic on the WELL: Shakespeare In A Hurry ) We had a similar prologue, but it was not nearly as nicely said or as nicely couched. We started doing it because we found the better prepared our students were to see the show, the better the show went. in the famous balcony scene. But back to R& J. The acting is all well done. They've done some gender neutral casting (the Prince is a woman, as is Benvolio. (The woman playing Benvolio is also the fight captain for the whole show!) And Romeo and Juliet, although not 14 years old as is theorized by Shakespearean scholars, do a great job of showing their instant attraction for one another, and speaking the entirely too florid love poems to each other. Tybolt and Mercutio are beautifully hotheaded, and the tension between Montagues and Capulets is seen from the beginning. There's actually quite a lot of stage combat in this show, and that kept my 8 year old son and his 8 year old friend from flagging when the language got a little too much for them. Chicago Shakes recommends 10+. The show is of course a tragedy, but there's a lot of comedy in the play as well. The nurse has some wonderfully comic lines and delivery, as does Mercutio. The comedy lessens the tension, but also makes the tragedy sadder. By the end, when [SPOILER ALERT]Romeo poisons himself because he thinks Juliet is dead (he didn't get the Friar's letter), and then Juliet wakes up, and stabs herself because Romeo is dead, I found myself crying. And I already knew what was going to happen! Mercutio (Brian Grey, right) has Tybalt (Sam Pearson) at point. But that's not the way it ends. I want to make a particular shout out the sound designer, Mikhail Fiksel, who did an amazing job of scoring the show with non-traditional music. 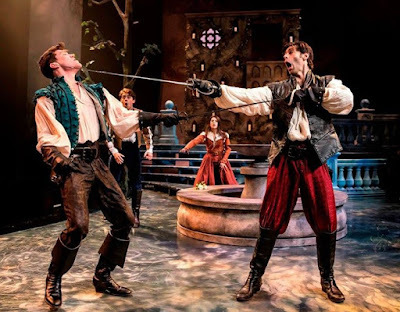 The fight between Mercutio and Tybalt, which has some twists and turns, is made particularly beautiful due to the music, which underscores the menace perfectly. I really felt that the sound design was an extra and necessary character in the play, and I don't often say that. At the end of each production, there will be a Q& A afterwards, followed by a "meet the cast" session in the lobby. In short, I urge you to see it, even if you've had bad Shakespearean experiences previously. This is a great production to cut your teeth (or bite your thumb) on. Public Performances are Saturdays at 11 am through March 25, 2017 at Chicago Shakespeare at Navy Pier.